Lyn Jeffery at Virtual China just posted about China’s tuangou (团购) phenomenon. 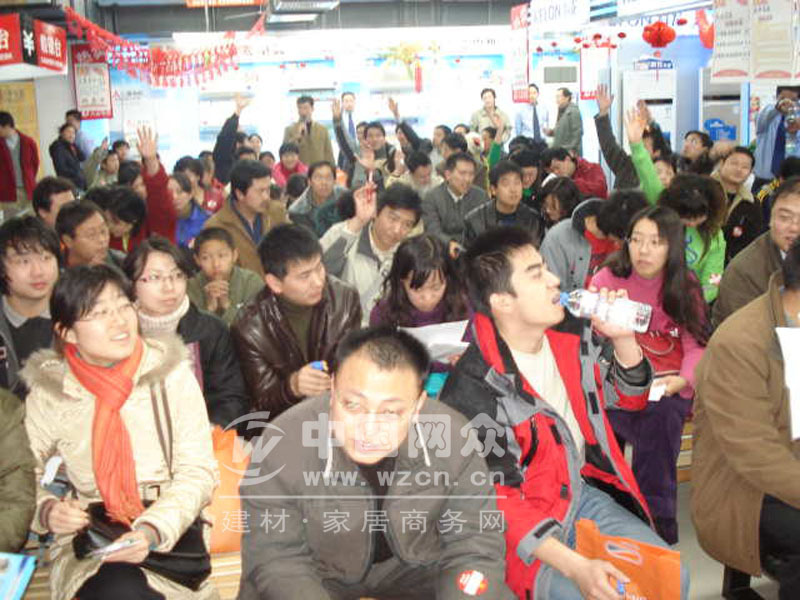 Tuangou’s all about shopping, aggregating enough people to be able to get a discount or better terms on everything from cars to real estate. I really want to see one of these next trip to China! On the Hefei Tuangou Web you can find a BBS forum that lists the various times and places that groups will be meeting–or in some cases, would like to meet if they can get enough interest. Wangqun Tuangou has the best photos of their buying sprees, such as this trip to a Dazhong Electronics branch store in Beijing on Nov. 26, where over 1000 people bought over $200,000 worth of electronics equipment in a single afternoon. Pretty wild stuff! Is this likely to happen only in emerging markets or also mature markets? Is it taking off in China because it has a fairly unique balance: a very price sensitive, low-income consumer-base, but who are also generally now online? Will it enable marketers to communicate offers more directly to consumers, and generate a direct purchase pull, without relying on retailers to push? Will we see brand advertising followed by links to Tuangou sites? Co-op deals even? StoreMob.com is a new team buying / tuangou web site that launched today: http://storemob.com/. I’m the owner and I’m sorry for plugging it on your blog – I hope you don’t mind. If you have any questions about the site please get in touch.